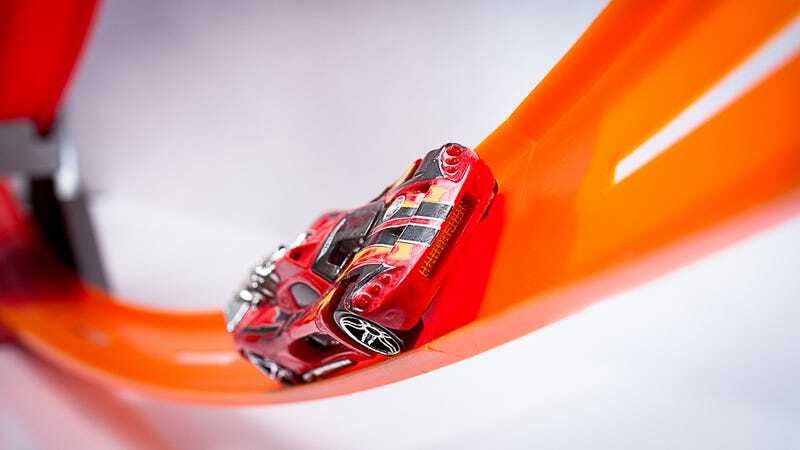 Ever had Hot Wheels’ orange track and thought: “This is neat, but I can’t seem to come up with more corners”? Me too. Then an idea struck me: with current 3D printing methods and videogame assets, it is possible to come up with track that is shaped exactly like the Eau Rouge complex, the Corkscrew, and 130R. I got the idea a few months ago while me and my friends got some old track out to play with for one last time, as they were getting sold off. It was immense fun, but soon we ran out of configurations. That was the point in which I posited the idea to my friends, an idea which I shall also present here. Thanks to the (now heightened) power of 3D printing and third-party mods for racing games, it is possible to come up with compatible orange track that is shaped like real-life corners found in race tracks around the world. With this, new play opportunities open up, and those who are curious about which combination of corners would make for a challenge will get satisfied. The job is relatively easy, in part due to the current power of 3D printing, and in part because it is easy to get track assets from mods for, say, F1 2013 (here), Stock Car Extreme (here), rFactor 2 (here), or Assetto Corsa (here), and there’s appropriate filament that matches the plastic Hot Wheels uses. Of course, there will be challenges. For one, the pieces have to be extra-rigid, to make sure they don’t flex out of position, and the barriers have to be a little higher than standard to keep the cars from falling out. Individual adjustable pylons will be needed to keep the new bends in line with actual playsets, and with corner entry and exit heights angles being entirely different with standard track, tabs will have to be integrated to eliminate the need to use connectors. Plus, the pieces themselves have to be labeled. Still, wouldn’t it be cool to see a combination of these corners in one playset? Fact is, one can fully print out a single layout (say, TT Circuit Assen) in the same dimensions as regular orange track, connect a few boosters along the way, and go racing. And that, fellows, is my big idea. 3D-printing a 1:64 car has been done here before, so it would be fitting to see compatible track that plays like the real thing. You know something? This can be made for a good Kickstarter project, or can be petitioned to Mattel as a sort of collectors’ set.